The first day of spring officially came a few months ago, but for me the beginning of spring comes the first time I can leave the windows open all day. This particular seasonal transition always seems to bring a cold (nothing so far for 2019, knock on wood and take a zinc). But one thing I remember as a kid is that when the symptoms finally faded, my stepmom would wash my sheets and open my windows for a few hours. I loved how it felt to return to my room afterward—it wasn’t just the sickness that was cleared, but the whole feeling of winter. Apparently that’s one of the theories of where the whole idea of “spring cleaning” came from in the first place: In the 1800s, when the weather warmed up, people would scrub down their homes to get rid of the dust that had gathered from heating their homes with whale oil or kerosene. Plus, spring meant they could open their doors and windows while cleaning, and take rugs and bedding outside for a much-needed deep clean. When I’m too tired or busy to actually check off every item on my spring cleaning list, sometimes I just crack the windows a bit to mimic that fresh feeling from my childhood. When developing our spring cleaning program each year, we try to make it as personalized as possible: not everyone has the same cleaning needs or the same amount of time. But this year, we tried to take it one step further—you can choose your own adventure based on your mood. So if, like me, you just want to open the windows and call it a win, we won’t judge. But if you’re looking for deep cleaning advice or something in between, we have plenty of tips for that too. Sign up for the 20-day, room-by-room program here. Our lifestyle editor, Taryn Williford (who runs our January Cure), developed the program. We both can’t wait to hear what you think. Throughout the month, we’ll be talking about other kinds of cleaning, as well. It’s tax season, and in that spirit, we’ll have some thoughts about cleaning up your finances. And starting on April 22 (Earth Day), we’ll have a dedicated week about cleaning up the home we all share: the planet. It’s not all cleaning in April, though. We’ll also be continuing our “New Homesmiths” series every Tuesday until the end of the month, where we meet people who were looking for change—and found it by changing how they live. If you haven’t watched yet, you can catch up here and here. And our first April episode features an airplane home. What does your spring cleaning routine look like? I’d love to hear about it in the comments. A Happier Home in 10 Days: Let’s Kick Off the Apartment Therapy Spring Clean! This year, we’re on a mission to help you tackle spring cleaning on your time. Each weekday until April 13, we’ll guide you through a plan to clean and organize different areas of your home, but you’ll have the flexibility to choose exactly what to work on and how long you have to dedicate to the job. Sign up with your email so you don’t miss a spot! Spring really is the perfect time to dig in and refresh your space. After a long cozy winter of nesting indoors, opening your windows and cleaning your home feels like catharsis. A total renewal of the space and the spirit that sets you up to enjoy the warm weather (whenever it finally reaches you) and open up your home to yourself and the world outside. Spring cleaning doesn’t have to be dreadful. It’s inspiring. Especially when you own the task, instead of letting it own you. That’s our mission this year — to take back spring cleaning. Each weekday for the next two weeks, we’ll go together room by room and space by space to tackle a series of cleaning tasks. I’ll tee you up with the big, broad zone, then it’s your turn to decide what to focus on and how much of it to do. If you have a chunk of the day to dedicate to cleaning, choose the “1 day” task that morning and dig in (it depends on your space of course, but most of our “1 day” tasks can be scaled down into just a few hours, so you could jump in after school or work). The “1 hour” task is there as a bit of a Goldilocks — it’ll be a solid mission with a big impact, but not one that will take over your whole day. And if you’re especially busy and away from home one day, you can choose the 10-minute or 1-minute tasks (or both!) to accomplish a quick boost that will make your home just a little happier than it was before. 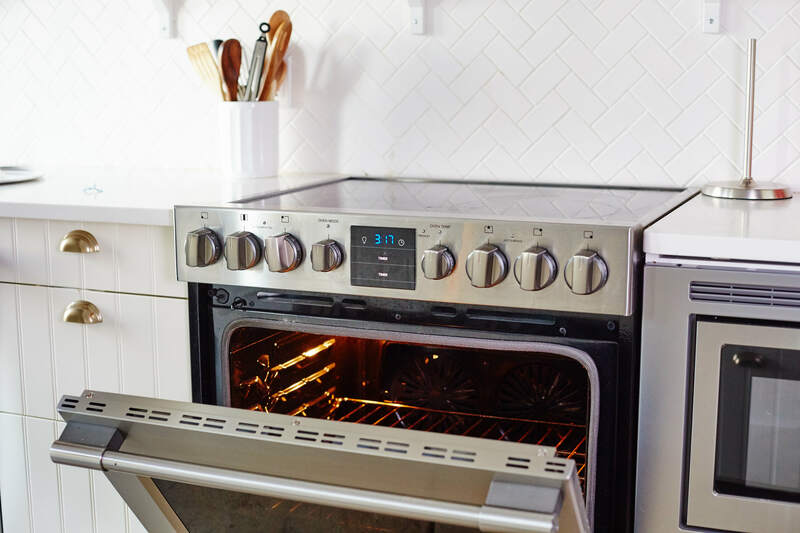 You can hack the program as much as you want to — handle multiple missions each day or remix the order to suit your schedule — what’s important is that you’re making progress towards your goal of a happier, cleaner home by summer. Do a fridge or freezer cleanout (or both, if you can handle that in an hour). Go systematically through the inside of your refrigerator clearing and cleaning. I find it helps to go shelf by shelf, taking everything off one shelf at a time and resting it on the counter for a minute. Get rid of anything that’s very old or expired, and wipe down the shelf before replacing only the items that are still fresh and usable. As you’re placing items back into the fridge, it helps to keep a cloth in your hand and peek at the bottom of each jar or container—some of them might be in need of a quick wipe-down. Repeat with each shelf or section. Wipe down your cabinet fronts. 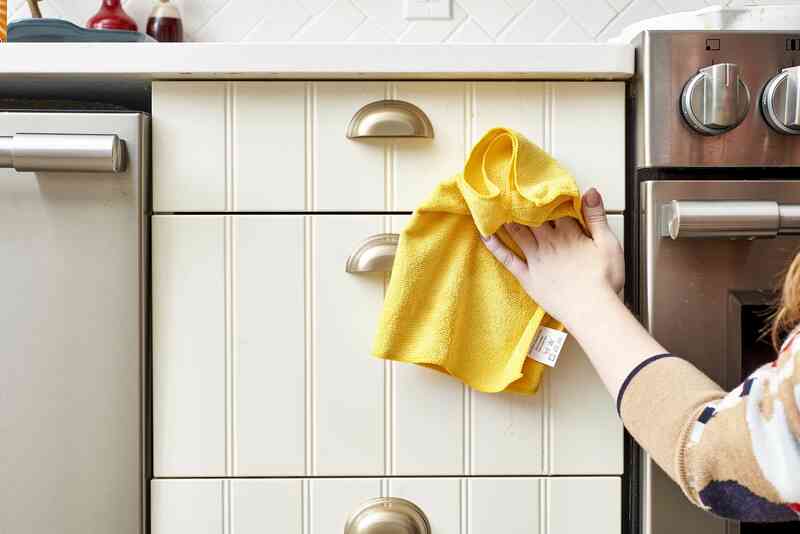 Grab your rag and cleaner or wipe of choice and work your way around the kitchen until every cabinet door has been cleaned. Vinegar or a baking soda scrub can help with especially stubborn grease, and you can use a toothbrush to give a detailed clean to your cabinet hardware if you’ve got the time. Wipe down your garbage can and recycling bin. Use a rag or wipe to clean inside and out, or take them outside for a hose down and air dry, if that’s more your style. The best part about cleaning with Apartment Therapy is the community of helpful readers. So I hope you take some time to participate in the comments: Tell us what you’re working on, ask any questions you have, and jump in to help other readers with their own struggles. We all have different tastes and skill levels when it comes to taking care of our homes, so the only rule is to be supportive! So, what mission did you decide to tackle today? The best part of fall is the crisp air coming through an open window and the smell of cinnamon and pumpkin wafting through the house. 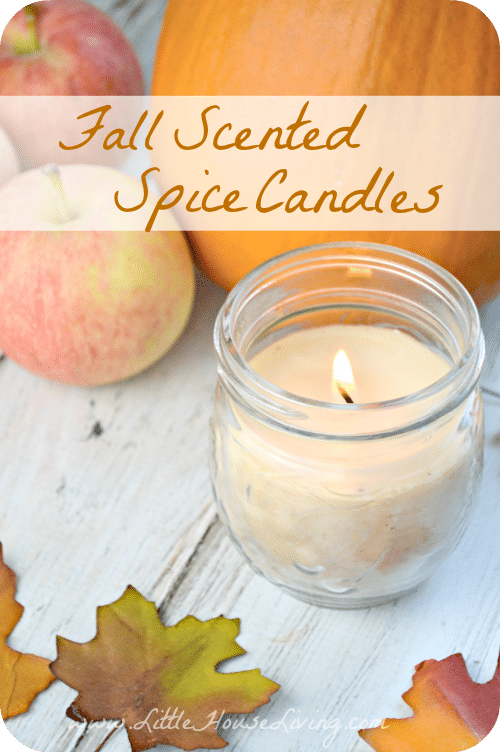 You can make your room smell like pumpkin pie with this DIY pumpkin pie spice candle! 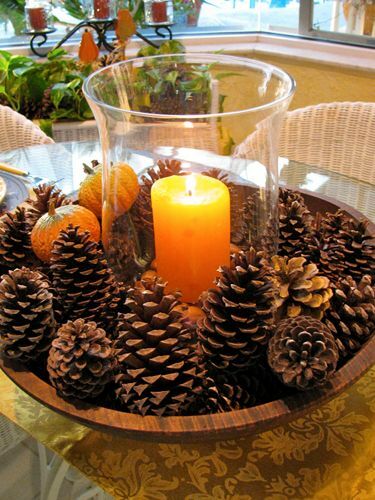 Scented pine cones smell DELICIOUS, and add a cute decorative touch to any space. Fill a bowl of them on your coffee table, and add a candle (in a vase, let’s be fire safe) for a relaxed vibe. This is a great centerpiece for a dinner party or to enjoy every day! 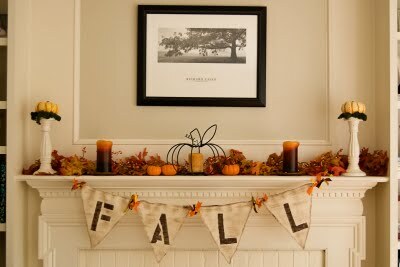 Your mantle wants to feel the fall lovin’ too, so make this DIY banner to celebrate all things fall. 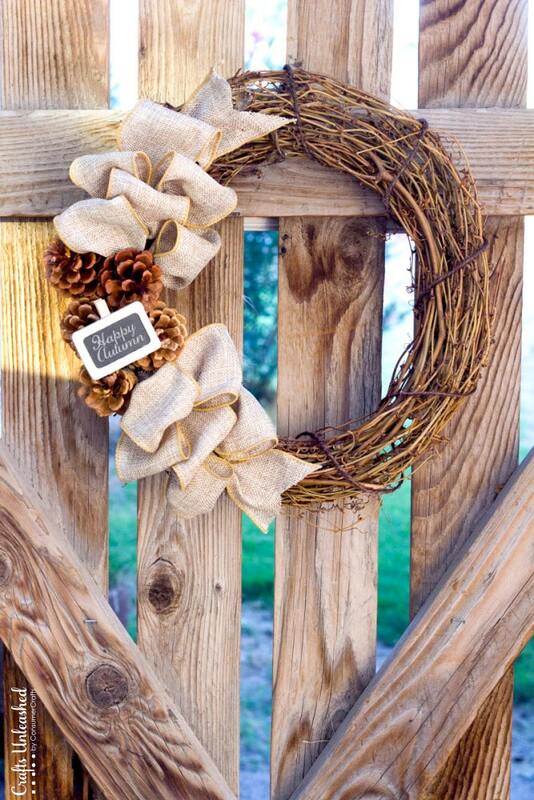 If you love having a wreath on your door to welcome visitors, you can custom make one to add your unique flair! Customize with initials, your surname, or lots and lots of jack-o-lanterns. Get the kids involved making paper leaves and pumpkins for an activity the family will love (and admire) throughout the season. 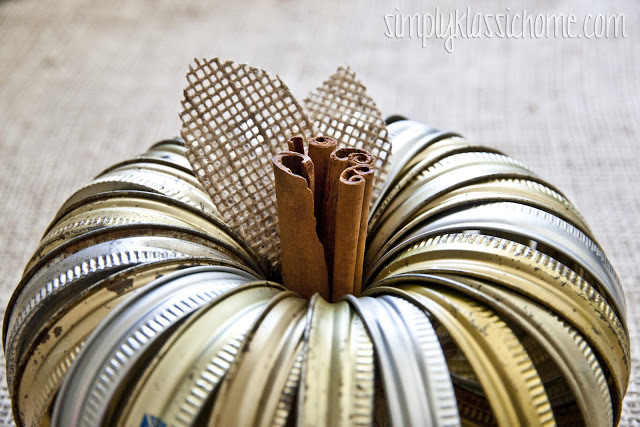 If you’re a mason jar lover and have lots of extra lids around, consider making them into a pumpkin. All you have to do is string the lids together and add some cinnamon sticks for the stem. 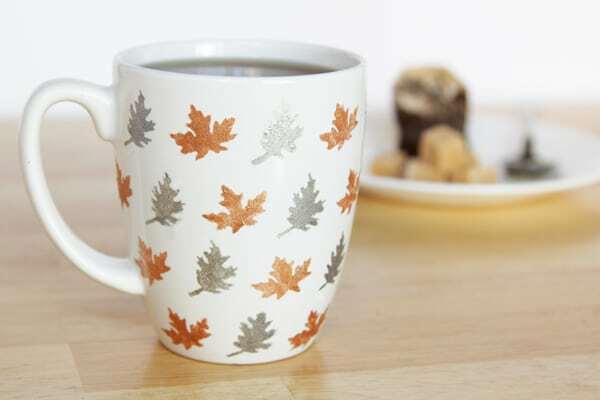 In the season of Pumpkin Spice Lattes, hot chocolate, and tea, you definitely need to have a great mug. Personalize yours by painting it with fall leaves in fall colors to get even more into the fall spirit! Sometimes you don’t feel like a daily Starbucks trip, or you want to have your PSL available to you at all hours. This is a totally understandable feeling, because PSLs are, well, there are no words. To make your own swoon worthy cup, you only need a few ingredients, and you can make a huge batch of syrup and store it in a cute canning jar. This bomb pumpkin bread recipe. If you’re craving moist, yummy pumpkin bread, look no further. Make this and your house will smell incredible. 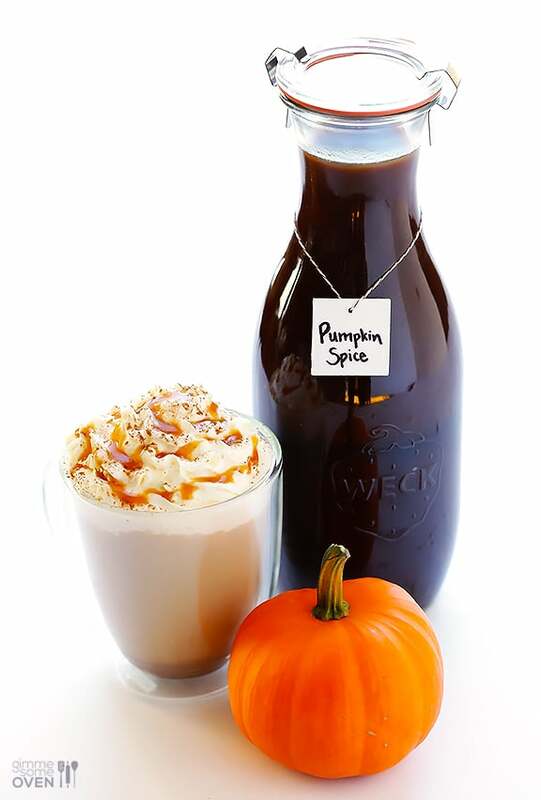 Not to mention, you’ll be full on pumpkiny goodness. Frisco went from a suburb north of Dallas to its own unique, bustling city. The fastest growing city in America for much of the 2000s, Frisco went from a place simply to live to a place to explore and enjoy. With tons of restaurants, unique entertainment destinations, and shopping, people who live in Frisco will never be bored. One of the things you might not know about Frisco is that it’s a great destination for date night. Our team at The Civic at Frisco Square has put together a few great ideas on some of the best date night spots in Frisco. We have put together a couple perfect date night ideas that you can enjoy just minutes away from The Civic at Frisco Square. A friendly rivalry is a great start to a romance (at least according to a million different rom-coms), and if you’re one of the couples that loves to enjoy some friendly competition, we’ve put together the perfect date night for you. Your night starts out with something different at @nerdvana.food+spirits, within walking distance of The Civic. If the name didn’t tip you off, this new hotspot does food and drinks a little differently. Food options range from chef specialties like the chicken fried steak to traditional staples with a gamer twist burgers and flatbreads. It’s also a well-known fact that nerds know cocktails, and the drink menu incorporates the restaurant’s gamer heritage with some inventive concoctions. What makes @nerdvana special is the unique atmosphere: this destination is a hotspot for gaming. With virtually any meal, you’ll be handed a controller and access to an extensive library of games, from retro classics to modern day hits. TVs also are tuned to the biggest names in gaming streaming their own gameplay. It’s like if nerds ran a sports bar, and the result is better than you can imagine! After finishing up your main course and with your controller fingers warmed up, it’s time for round two of your date night competition. Decide who is the best gamer at Strikz, a boutique bowling alley. On top of pristine lanes and a fun atmosphere, Strikz offers a full drink menu and a delicious assortment of snacks. If you strike out on bowling (not in the good way), you can continue the gaming competition at the arcade or shoot some pool in the billiards room. You don’t have to go to downtown Dallas to find great food. Frisco is a food lovers paradise, and our team at The Civic has put together a few highlights for an unforgettable date night so tasty you’ll be asking for seconds. If you want a pre-dinner date spot and a nice destination to have some conversation, Eight|11 is the epitome of cozy and romantic. The unique wine bar and kitchen located in downtown Frisco—and only a few minutes away from The Civic at Frisco Square—gives couples an opportunity to get their palate warmed up while imbibing on a wide selection of wine, craft beers, and cocktails. Depending on the night, you’ll also be treated to live music. After a romantic start to your evening, it’s time for the main course. While there are tons of options, we chose Trattoria al Giardino for several reasons. For one, it serves up authentic Italian cuisine that’s always fresh and delicious. While the menu changes depending on the season, one thing is certain: an evening of great, homemade pasta, a glass of wine, and fresh ingredients. The other reason we chose Trattoria al Giardino is the charming atmosphere. The spot captures the feel of Italy, and if it’s the right season, you can enjoy the outdoor patio and discover the true meaning of “la bella note.” Between the fresh food and atmosphere, you’ll swear that you’re overseas at an authentic trattoria. If you’re in Texas, you have an embarrassment of sports teams to choose from. Chances are, you and your date have a favorite team, and if you share a common love, this date night is for you. If you’re a house divided, though—well, we can’t help you there! Start your night off at The Star, a multipurpose complex and home to the Dallas Cowboys Corporate Headquarters. If you’re a Cowboys fan, you should consider the VIP Guided Tours and explore the facilities where players train 355 days a year and work. If you don’t care so much about football, you can also enjoy some great shopping. If you want a sweet treat with your sweetheart, swing by the Cow Tipping Creamery. The ice cream shop serves delicious soft serve with unique flavors and toppings. Regardless if you choose to start your night out with a treat or simply some fabulous shopping, the Star is a great place to start your evening. From football to a different kind of football, continue your date night by catching an FC Dallas game. The team, which plays in Toyota Stadium, is highly accomplished, and the fanbase for the team has steadily grown over the years. If you’ve never witnessed a soccer game in real life, it’s an event worth experiencing. Soccer matches take place from spring through the fall, and with an exceptional team, North Texas fans have a lot to be excited about. Once you are done at the game (or if you’re in the off-season), we recommend the Frisco Bar. A favorite destination for locals wanting to catch the big game or enjoy a few drinks, the Frisco is everything you want in a sports bar: solid food, a wide selection of drinks, and a fun environment. If you and your date share the same love of sports, cheer on your favorite team and hope for overtime, extra innings, or, at the very least, a second date! Frisco offers nearly an endless amount of options for date night, and almost as many places to live. However, those who know the area know that The Civic at Frisco Square is the perfection combination of amenities, location and style. Residents enjoy granite countertops throughout the apartment, stainless steel appliances, and spacious rooms, all while being just a beat away from the pulse of Frisco and the rest of the Dallas metroplex. The community also offers a movie theater, pet park, and a two-tier resort style pool with water features. As Frisco continues to grow and add even more fun date night options, you will find living at The Civic at Frisco Square to get better every year. The Civic offers studio, one- and two-bedroom apartments. Discover what it’s like to live in luxury in one of the hottest locations outside of Dallas. If you’re interested in learning more about our apartments or to find out availability, contact us online. Summer is here, and the cool, cerulean tranquility of your apartment’s pool beckons. While any day at the pool is a good day, there are certain ways you can make sure you’re making the most of your time. Follow a few tips, and you’ll get the maximum enjoyment from every moment spent lounging in or around the pool. · Beat the crowd and get to the pool early. Swimming is more fun when you don’t have to fight the crowds. Get there early enough, and you’ll have your pick of tables and lounge chairs. Not a morning person? The crowds often thin in the late afternoon, so that might be a good time to go, as well. · Use sun sense. Make sure you slather on water-resistant sunscreen: and keep putting it on every couple of hours. Skip the burning hours in the middle of the day, when sun exposure is at its peak. Instead, hit the pool early, then take a break at midday to go inside and regroup. Afterward, you can head back down for some late afternoon fun. o Make sure any children with you are well acquainted with the pool rules. o The adults, too, should know and follow the rules, taking care to obey “no diving” signs. Never bring glass to a communal pool. o Learn CPR, and keep a close eye on kids, even if they’re proficient swimmers or have flotation devices. o Look out storms, too. Summer storms can pop up in a flash, and you should be prepared to take cover when they do. o Luau: Leis for your guests, grass skirts around the tables, and tropical fruit on skewers will make any poolside party feel like a tropical paradise. o All American: Everything red, white and blue will bring out the patriot in you and all your guests. Serve watermelon and grill burgers and dogs to make it feel like a nostalgic 4th of July party. o 70s Glam: Bright colors and groovy patterns will liven up your space, and serving fun 70s favorites like meatballs and piῆa-coladas can make it feel authentic. o Fun Fiesta: A sombrero for a centerpiece, chips and salsa for snacking, and margaritas for the adults can make your party sing. o Beachy poolside: Beachballs to bat about, shells on the table, and colorful beach towels for lounging will make pool time feel like a day at the beach. Beach picnicking is easy, too: Just bring some sandwiches and your favorite canned drinks. o Dusky Delight: Plan your pool party at the end of the day, and watch the sunset over the pool, as lanterns and candles flicker on your table and you sip wine with your guests. · Be respectful of neighbors. Limit the number of guests you bring, and make sure your noise levels are reasonable. Keep a close watch on children, and make sure everyone is following the pool rules, including those pertaining to hygiene. And even if you’re tremendously proud of your bikini body, be mindful of others around you, and save the skimpy swimwear for an adult-oriented resort. If you’ve got your eye on an apartment at The Civic at Frisco Square, the pools should push you right over into renting. Our 2-tier resort-style saltwater pools have a water feature, and our private cabanas are perfect for a summer party or gathering. Whether you’re having friends over or just hanging out with your kids, it’s a summer getaway that’s right outside your door. The Civic at Frisco Square offers sparkling, pristine, inviting pools and so much more. Located within the $5-Billion Mile, this complex is in the heart of over 500 acres of land that are currently being transformed into high-end developments. Just outside the door of your spacious apartment home, you’ll find the shopping, dining, and nightlife of Frisco Square, along with events like Major League Soccer games and concerts. Stop by The Civic at Frisco Square to see all that we have to offer: beautiful apartment living with all the amenities you’d expect from an upscale community in the heart of Frisco Square. You can also give us a call at (214) 618-8530 or contact us through our website.